Even though it is November, the front garden still has flowers blooming. The Global Warming mums are doing a great job of keeping color in the garden (I'm up to three varieties in the garden now, but my favorite is Autumn Moon). A delphinium (that still needs a permanent home) is reblooming, as well as one of my yellow roses. 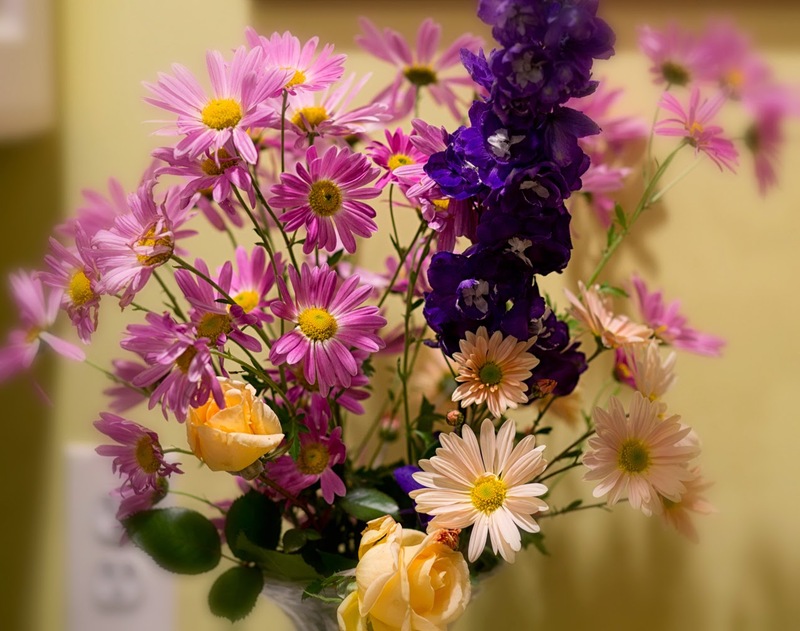 Tonight, in the dark, I went outside to cut flowers to bring indoors. Tonight might be our first frost of the season (which is late this year). I wanted to bring in some of the color before it disappears. Do you have anything blooming in your garden now?